Pull up a chair and grab your guitar; the Modern Māori Quartet — aka musicians Francis Kora, James Tito, Maaka Pohatu and Matariki Whatarau — are here to reinvigorate a clutch of classic Māori party tunes, helped along by a guest list of young and old. With their laidback style the boys trade jokes and memories, and older generations share the songs that make a room sing. This episode also features a new and improved version of 'Ten Guitars', some seriously sharp suits, and a roof-lifting performance from cultural group Te Waka Huia. A party of returning raiders hauls a massive waka taua (war canoe) through dense Waitakere bush, driven by their brutally insistent chief towards safety. Two water-boys are crouched in the bow. One of them risks a bold act of compassion — towards the trophy prisoner tied to the stern. The impressively-produced portage has echoes of Werner Herzog movie Fitzcarraldo, but the story is palpably Māori. 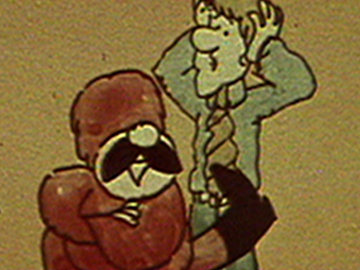 Directed by Tearepa Kahi, Taua won Best Short at National Geographic’s 2007 All Roads festival, and was selected for the Berlin, Rotterdam and Clermont-Ferrand festivals. Christopher Columbus sailed 15,000 miles to find the new world: "500 years later, it turned up on the doorstep." 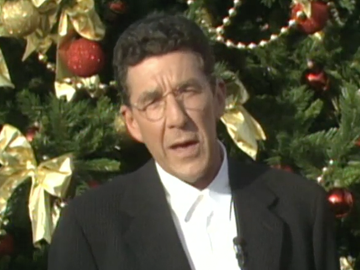 This documentary chronicles New Zealand's hit contribution to Expo '92, held on the Seville island where Columbus apparently planned his voyages. Amidst the celebrations, come culture clashes. Reporter Marcia Russell argues that ultimately Expo is about creating consumers and brand awareness, by selling New Zealad as sophisticated, exotic, proud, and culturally mature. It is also a chance to persuade the masses that Aotearoa is actually south. 'Our people' at Holmes' 1997 Christmas party included tearaway teenage twins Sarah and Joanne Ingham. Earlier that year the sisters had stowed away on a Malaysian container ship after Sarah had fallen for a sailor. The 18-year-olds made global headlines when they jumped overboard off the Queensland coast, supposedly swam through shark and croc-infested waters and spent two weeks in the bush, before being found and deported back to Nelson. As Holmes tries to elicit soundbites the notorious lasses display the laconic style that made them Kiwi folk heroes. 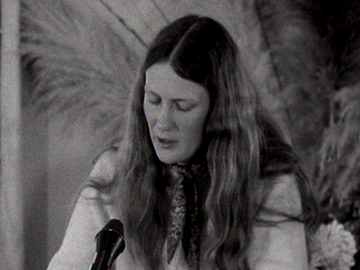 A 24-year-old Helen Clark (complete with long flowing locks) features in this NZBC current affairs footage from the annual conference of Young Labour — the Labour Party’s youth division. Twenty five years before she will become NZ’s first elected female Prime Minister, Clark is a junior politics lecturer making her way in the party machine as she chairs a session about abortion law reform. The room might be smoke filled but the atmosphere is more earnest than Machiavellian; and, while commitment to the cause is strong, expectations are more finite. 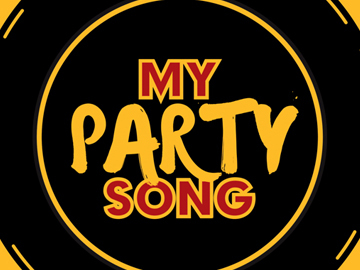 This Māori Television series aimed to celebrate Aotearoa’s "favourite party songs", through showband renditions led by the Modern Māori Quartet. 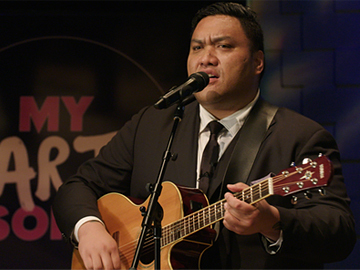 Inspired by the great Kiwi garage party, each week the quartet (Francis Kora, Maaka Pohatu, Matariki Whatarau and James Tito) host special guests — some famous, some not — who are invited to perform their favourite track. 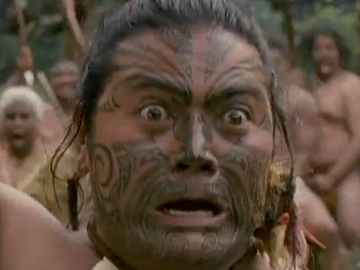 They include Temuera Morrison, Tina Cross, Ria Hall, Jan Hellriegel and Troy Kingi. The members of the "Māori rat pack" met at drama school Toi Whakaari. They were the houseband on short-lived variety series Happy Hour. It's the holidays: time to let your hair down, have a swim, give in to your appetite...and have a boogie. 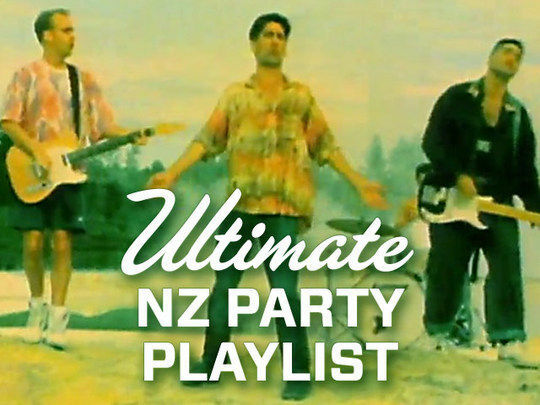 From Kings to The Clean, from 'Ten Guitars' to 'Trippin', let NZ On Screen supply the music, with this epic playlist of classic Kiwi party songs. In the backgrounder, music fan and publicity maestro Nicky Harrop takes us through the tracks, before bidding adieu to NZ On Screen.